Next to my apartment, there is a church called Notre Dame de Lorette, that was built between 1822 and 1836 when the area started to be so popular that they badly needed a church for the ever growing population. The outside architecture is very classic (after the Roman basilicas), but the inside is reallly superb. 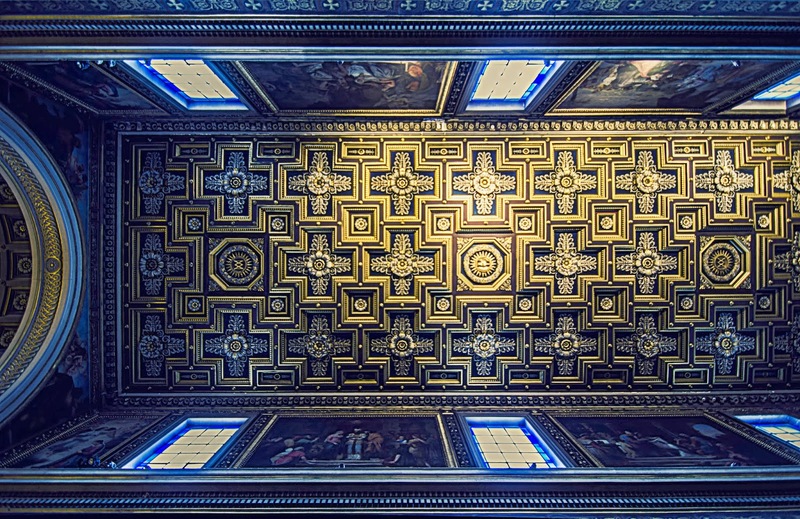 Especially the stunning ceiling that I photographed yesterday afternoon. A real masterpiece made by Hubert-Nicolas Lamontagne. I love this church and its ornate architecture. Excellent perspective, of course. Paris is the endless wow. A masterpiece is an understatement.